CBDISTILLERY has combined all of the potential benefits of the quality, hemp-derived CBD with the calming, properties of melatonin to make the perfect night time treat. These 30mg (THC Free) bears can help tuck you in just before bed, assisting you with getting a satisfying night of sleep that you deserve. 30 ct Bottle. 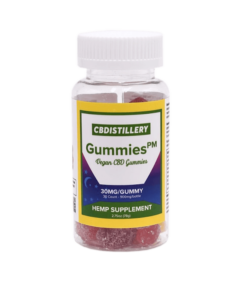 30mg CBD per Gummy. 900mg total.